Alain Resnais returns to Prix César: Lambert Wilson and Laura Morante in Private Fears in Public Places. 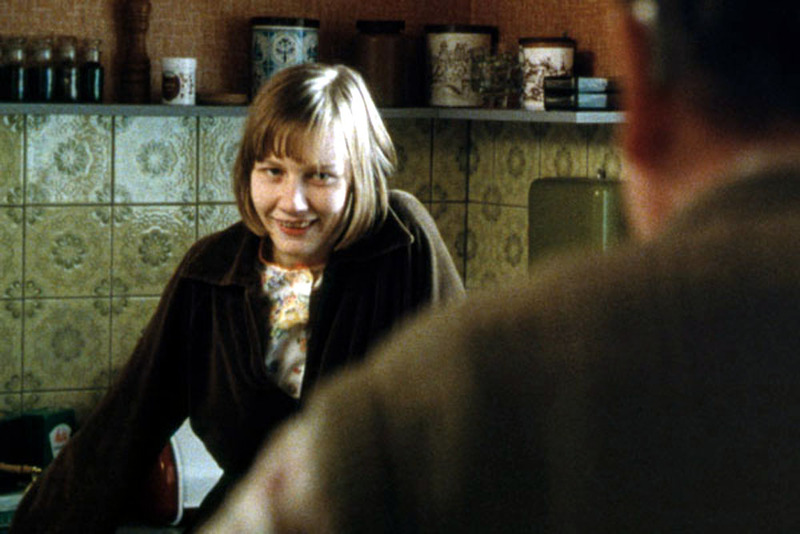 The best thing about the 2007 César nominations is the fact that Alain Resnais' beautiful, haunting, magical Coeurs / Private Fears in Public Places received a total of 8 nominations, including a Best Director nod for Resnais himself, and a best screenplay nod for Jean-Michel Ribes' adaptation of Alan Ayckbourn's play. Nonetheless, Days of Glory – a huge box office success in France – is the favorite in the best film race. It has also been nominated for a best foreign-language film Academy Award (2007), and its male principals won an ensemble best actor prize at the 2006 Cannes festival. Surprisingly, none of its actors were singled out for a César nomination. Je vais bien, ne t'en fais pas / Don't Worry, I'm Fine - Philippe Lioret's social drama about a young woman (best female newcomer nominee Mélanie Laurent) looking for her twin brother in a series of soulless, identity-less Truman Show-like Parisian suburbs. Lioret and Olivier Adam were nominated for their adaptation of Adam's novel. Lady Chatterley - Pascale Ferran's adaptation of D. H. Lawrence's scandalous novel, with best actress and best female newcomer nominee Marina Hands as the adulterous aristocrat of the title role, and Jean-Louis Coulloc'h as the gamekeeper she loves (or lusts after) in an England where everybody speaks French. Quand j'étais chanteur / The Singer - Writer-director Xavier Giannoli's tale of a love affair between a small-time singer (best actor nominee Gérard Depardieu) and a woman (best actress nominee Cécile De France) old enough to be his granddaughter – or almost. The only one of the five best film nominees that failed to receive a matching best director nod was The Singer. Alain Resnais took Xavier Giannoli's slot. Volver, Babel, Little Miss Sunshine, The Queen, and Brokeback Mountain are the best foreign film nominees. Among the other César nominees are Jean Dujardin as a sort of French James Bond in the popular spy comedy-action-thriller OSS 117 - Le Caire nid d'espions / OSS 117: Cairo, Nest of Spies, best film winner at last year's Seattle Film Festival; best actress nominee Catherine Frot, as a pianist in La Tourneuse de pages / The Page Turner; and veterans Mylène Demongeot and Bernadette Lafont, both nominated in the best supporting actress category, the former for La Californie / French California (that's the Mediterranean coast) and the latter for Prête-moi ta main / I Do. Additionally, Danièle Thompson and her son, actor Christopher Thompson (who also has a role in the film), were nominated for their original screenplay. Another veteran, Michel Blanc, received a best actor nomination for his role as a widowed French farmer who tries to find himself a hardworking Romanian wife in director-writer Isabelle Mergault's Je vous trouve très beau / You Look So Handsome. Mergault was nominated for her original screenplay. And speaking of veterans, Gérard Depardieu's nomination for Quand j'étais chanteur is his 15th – and his first in 12 years. The actor has won two Césars, for Le Dernier métro / The Last Metro (1980) and Cyrano de Bergerac (1990). The Prix César 2007 winners will be announced on Feb. 24, one day before Hollywood's Academy Awards. Surprisingly, the Association of German Film Critics did not pick Florian Henckel von Donnersmarck's internationally acclaimed Das Leben der Anderen / The Lives of Others as the best German film of 2006. Instead, their choice was Hans-Christian Schmid's Requiem, based on the real-life story of a woman who believed herself possessed by the devil. (That same story also inspired the undemonic The Exorcism of Emily Rose.) Henckel von Donnersmarck had to content himself with winning the best first film prize. According to the Hollywood Reporter, The Lives of Others has had the biggest opening for a German-language film ever in the United States. (I'm assuming that those figures – as usual – haven't been adjusted for inflation. I mean, what about Das Boot?) Having been greeted with overwhelmingly positive notices in Germany and abroad, the – in my invariably humble opinion, overlong and unconvincing – spy melodrama is up for a best foreign-language film Academy Award. As the bedeviled Requiem lead, Sandra Hüller was voted best actress (she also won the Silver Bear at last year's Berlin Film Festival), while Ulrich Mühe, as the conflicted spy in The Lives of Others, was chosen best actor. Wolfgang Kohlhaase was the best screenwriter for Sommer vorm Balkon / Summer in Berlin, directed by Andreas Dresen. The film revolves around the travails of two women (Inka Friedrich, Nadja Uhl) spending the summer in Berlin. 2007 Art Directors Guild award nominations: Jan. 18. 2007 Art Directors Guild award winners: Beverly Hilton Hotel in Beverly Hills on Feb. 17. 2007 Costume Designers Guild award nominations: Jan. 11. 2007 Costume Designers Guild award winners: Beverly Regent Hotel in Beverly Hills on Feb. 17.